Relaxing and enjoying some cold drinks and delicious Texas appetizers out on the outdoor patio with friends and family isn’t really restricted to your very own yard. With numerous months of consistently warm weather conditions, nearby bars and dining establishments count on Overhead Garage Door, LLC for their Fort-Worth and Dallas commercial garage door service needs, including installation, repairs, and replacements to boost and broaden their dining location. Just recently our garage door professionals completed a commercial overhead garage door installation project for a popular DFW bar. 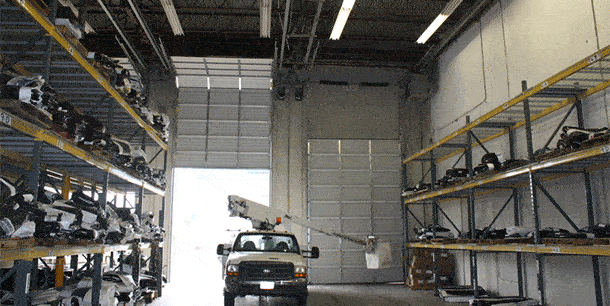 There are hundreds of customizable overhead door options that we offer and install. This bar owner chose the complete view sectional doors, and like all commercial garage doors, they are manufactured to not only secure the interior area of the structure, but also stand up to years of constant use and all kinds of weather conditions. As we did for this Dallas-Fort Worth bar owner, Overhead Garage Door, LLC can assist with and guarantee your next commercial garage door service requirements are fulfilled to meet your company’s needs in the most efficient and effective way possible.